Breakfast. This also makes a good afternoon snack. Plain organic yogurt, with pineapple and a handful of almonds. Here is another version of a quinoa pilaf that I made recently. It was a big hit, especially for those who have not eaten quinoa before. In a medium pot, heat the oil. Add the onion and cook for 5 minutes. Add the celery and carrot. Cook an additional 3 minutes. Add the quinoa, stock and season with the salt. You can use black pepper to taste. Cover and cook for about 15 minutes until the quinoa is done. Using a fork, fluff it up. Transfer to a serving plate and serve. Note: I made this in the morning and warmed it up in a 350 oven for about 10-12 minutes. I was out with a friend yesterday at our favorite taco shop, Tacko on Fillmore Street in San Francisco. We always order the Skinny Guacamole. 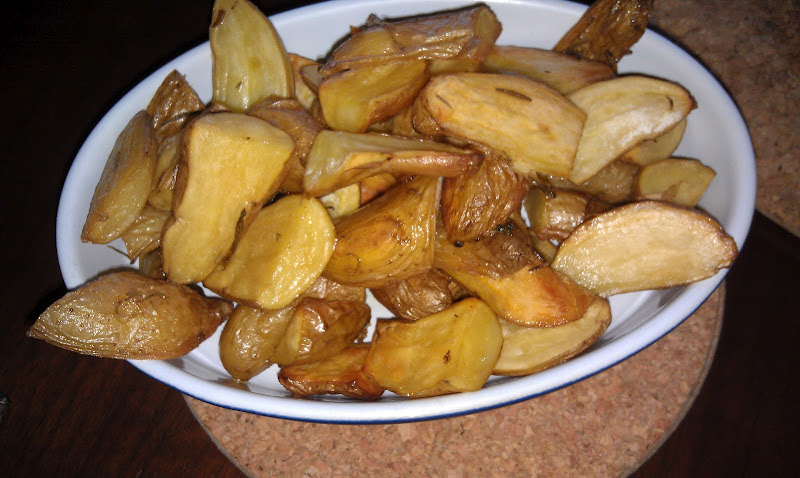 Instead of chips ( highly acidic), it is served with sliced vegetables. Next time you are out and see guacamole on the menu, ask for some sliced vegetables. Most places will be able to accommodate you. Trust me, you don’t need the chips, nor will you miss them. You can make this at home too. Mix together and put into a serving bowl. Add you sliced mixed vegetables and serve. Put all in a blender and just pulse a few times, for a chunky salsa. I like all of my ingredients to be about the same size, so when I blend them together it comes out looking better. 2 cups roughly chopped tomatoes, you can use any type. 1 tablespoon cilantro or parsley. What’s for dessert? It’s summer in California and the fruit is coming in from the farmers to market. Take advantage of all the delicious melon right now. Buy a melon scooper/ baller and create fun colorful, low cal sugar free deserts. I used watermelon and cantaloupe the other day. I promise that when you being a bowl of fruit this way to the table, everyone will have a smile on their face. Heat the olive oil in a large skillet. Add the onion, leek and celery. Season with the salt and pepper, cook stirring occasionally for 10 minutes. Add the garlic , stir. Add the broth and vinegar, cook another 5 minutes. Stir in the parsley. check seasoning. Mix the vegetables into the Quinoa. Transfer to a serving dish. Serve hot or warm. This is a crowd pleaser. Serve it with a side salad and you have a nice light meal. I like to have the celery cut in rather large pieces. It is best to use a pot that the celery can lay in a single layer. Roasted Cauliflower with braised celery and roasted peppers. Break down the cauliflower and place on the cookie sheet. Slice up the peppers. Add to the cauliflower. Toss with the olive oil. Season with salt and pepper. Bake for 30-45 minutes stirring occasionally. 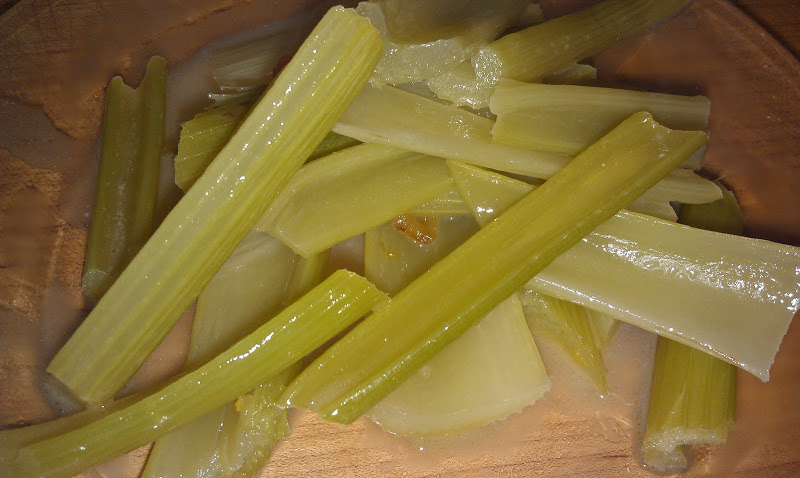 When done, transfer to a serving bowl add the braised celery and serve. A new twist on Broccoli. A great presentation. Cook the broccoli, I prefer steaming. Let cool, chop it to small pieces. Reheat in a pan with a little clarified butter, sliced mushrooms, salt,pepper and a little fresh lemon juice. A great side dish to warm your appetite. Super easy. Prepare the vegetables, peel and cut into 1 inch squares. Place in a bowl. 1 ½ cups cooked fish, I used halibut. Break up into bite size pieces. Heat the oil in a large skillet. Add the onion and cook about 6 minutes until the onions are tender and sweet tasting. Add the celery, carrot, and potato, cook until tender about 5 minutes. Add the broccoli. Sir in the fish. Season with the salt pepper and oregano. In a separate pot, melt the butter, add the flour and mix together. Cook for 3 minutes on a low flame. Do not brown. Pour in the vegetable stock. Season with a little salt and pepper. Siri until the sauce is thickened. This should take just a few minutes. If using the cream, stir it in. Note: Any fish works in this recipe. Try it with canned salmon. It can also be made vegetarian. It’s best to bring the vegetable stock to a simmer before adding it to the flour. This is another version of stuffed peppers. I have one on my blog that has rice. Slice the tops off the peppers save for later. Using a spoon, scrape out the centers, removing seeds. Set aside. Heat the butter and oil in a large frying pan. Add the onion. Cook for 6 minutes. Add the zucchini and patty pan squash. Add the garlic, oregano, and parsley. season with salt and pepper. Cook for 5 minutes. Using a spoon, fill each pepper with the vegetables. Sprinkle with a little Parmesan cheese. Place in a baking dish. Put the tops on top of the peppers. Bake for 45 min- 1 hour. Remove from oven and serve. This is a wonderful desert to make for company. 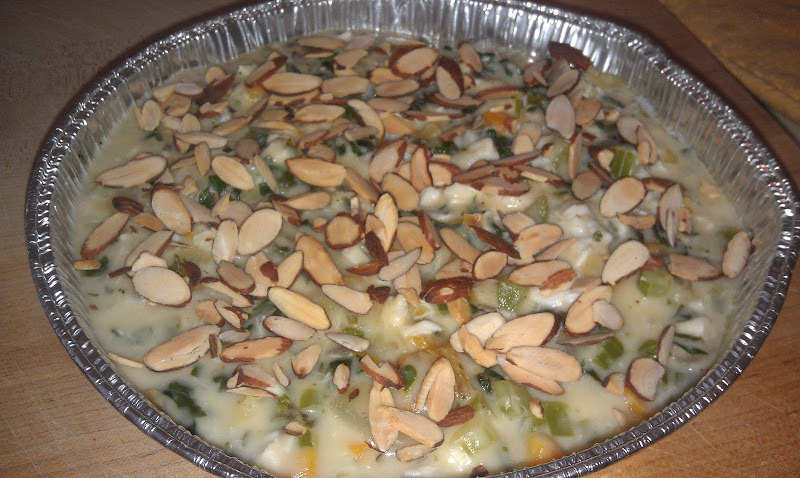 It is easy to make and it bakes while you are having dinner. With just a few ingredients it will surprise you how much your guests will like this. I make it all the time and there is never any left over. 1 tsp. Sucanat, dehydrated cane juice, looks and tastes like sugar. 5 pears, I like to use ripe ones. Spread the butter on the bottom of the baking dish. Sprinkle the Sucanat over the butter. Cut each pear in half, using a melon baller or spoon, remove the middle core. Place the pears flesh side down in the baking dish. Bake for 15-20 minutes until pears have softened but still firm. Open the oven and pour the cream around the pears. Bake for 10 minutes. Remove from oven and let sit for 5 minutes to cool. This is a very easy breakfast or snack. Cut up one half of a fresh papaya. Sprinkle with toasted sliced almonds. Place almonds on a foil lined cookie sheet. Bake in a 375 degree oven for about 10 minutes. It might take a few more minutes depending on your oven. Remove when toasted and store in a air tight container. I always like to shop at my weekly farmer’s market. Buying fresh from the farmers insures that the food you buy is usually just picked. Many of the fruits and vegetables that I purchase have been picked just the day before market. It’s a good idea to talk to your farmers and get the scoop. Personally, I try to buy organic fruits and vegetables, but sometimes there is an item that is not organic but the produce is not sprayed. Follow your own comfort level and support your local farmers. Try this easy vegetable dish with Brussel sprouts and broccoli. Favorites around my kitchen. 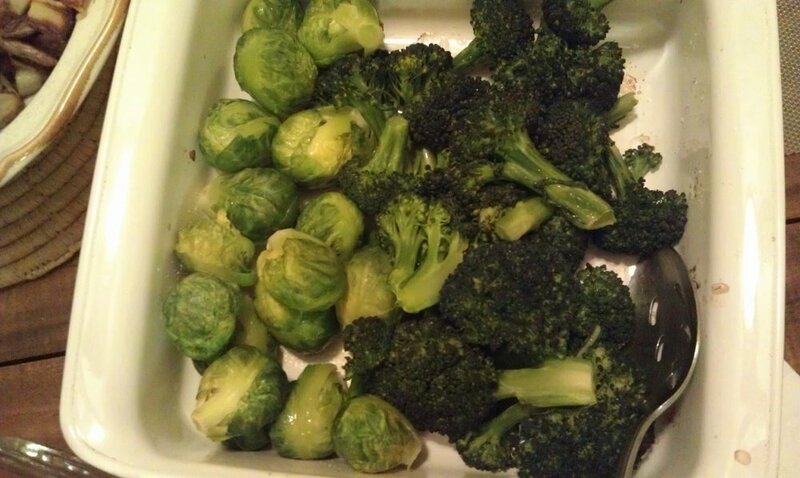 2 dozen Brussel sprouts 1 bunch Broccoli 2 tablespoons olive oil Sea Salt and Pepper . First, I like to give these a quick steam. about 3-5 minutes. Then I place them in a baking dish. Sprinkle with salt and pepper. Stir in the olive oil. Set aside. When ready to cook, place in a preheated 350degree oven for about 30 minutes. Tip: I like the ease of these roasted vegetables because I can give them a head start and give them a quick steam to cook halfway. I can prepare these in the morning, and when dinner time comes, all I do it put them in the oven. These are my favorite roasted potatoes. So easy to make. Cut up the potatoes, coat with a little olive oil and some sea salt. Put on a foil lined baking sheet and bake at 400 degrees for about 35 minutes. They are always a big hit. Serve these vegetables as a side dish with a piece of fish and a big green salad. Sometimes I come home from a workout or a walk and it is time for a pick me up snack. This one is so easy and it packs a powerful burst of energy. You can get creative and add more ingredients but for a fast wonderful snack try this one. I will put up my recipe for cooking garbanzo beans from scratch. These are easy to make. If you don’t want to go to the trouble. Feel free to open a can, but once you try making your own, you will never go back.